Originally from Oregon and now Northern California based, Anne creates inviting interiors. Her design goals are to interpret her client’s personal style. Anne describes her philosophy as client oriented, “I use creativity and personal attention to help my clients realize their goals. I like creating functional, and timeless space. I love the juxtaposition of old and new, finding inspiration in the classical and translating it to be current." West Pacific Cabinets has been building beautiful and functional cabinets since 1976 and have grown a quality company around a quality product. 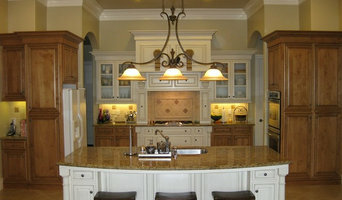 Our cabinets demonstrate a level of craftsmanship that is rare in the manufacturing industry. Our employees believe in attention to detail to ensure that each job is performed with the same exacting level of perfection. West Pacific Cabinets delivers custom cabinets to satisfied customers throughout the greater Sacramento region as well as the Bay Area, Tahoe and also out of state. From dental offices and hotel lobbies, to condominiums and multi-room mansions, West Pacific Cabinets can handle your project needs – on time and within budget. Steve Dietz opened West Pacific Cabinets in 1976 and has successfully built a reputation for constructing top quality products at a fair and competitive price. Bringing several decades of experience to Northern California, our team of experts work with many types of wood and styles of cabinets from Craftsman to Mediterranean including the latest in innovative green technology. We welcome you to visit our office to discuss your cabinet needs during regular business hours. We are also happy to accommodate off-hour appointments upon request. We are a manufacturer only, and due to environmental licensing laws we do not paint or finish cabinets. We do, however, offer a list of exceptional finishers to choose from. We have full-time installers on staff with over 60 years of combined experience. I've worked in the design industry since the late 1980s. Taking my career skill-set of color, textiles, clothing design, production, interior design, and marketing, I launched a design business in 2002. Whether a home re-design, space efficiency/usability improvement project, home décor, staging, or color consultation, I am equipped to collaborate with you on your design project, no matter the scope, size or budget. I take pride in my word of mouth business. Take a moment to read the testimonials written by my clients at www.thedesignpartner.com I welcome the opportunity to hear from you with your ideas and how I can be your design partner! 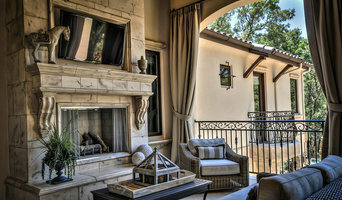 Suzanne Kyle has been practicing design for over 30 years. She has extensive construction experience and is highly skilled in guiding clients through the design and construction processes from inception to completion. Making use of her knowledge and experience of finish products, Suzanne assists her clients in selecting the most appropriate products to answer the needs of both function and aesthetic. Whether your primary goal is aesthetic design or function, she will make sure the result is a harmonious and pleasing design geared to withstand the tests of daily life.